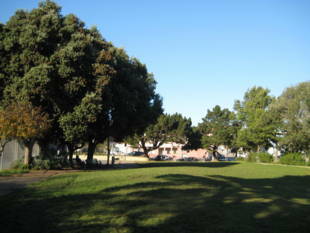 Noe Courts Park, located at the corner of 24th and Douglass Streets, is a small neighborhood park (0.925-acre) containing a lawn, basketball court, tennis court, children’s playground and restrooms. 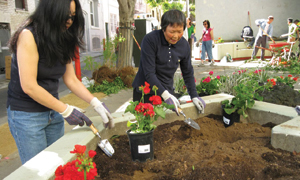 In 2011, the Friends of Noe Courts obtained a Community Opportunity Fund grant in the amount for general park improvements for lawn drainage and walkway improvements, terraced seating, site furnishings and landscaping. Work also includes tree pruning and replanting, repainting and repairing of retaining walls, resurfacing of the tennis and basketball courts, and new court fencing. Construction is near completion and is expected to open in the late winter/early spring of 2017. 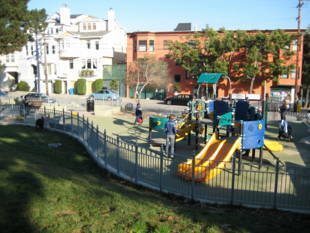 Park groups should be: Friends of Noe Courts noecourts@gmail.com.